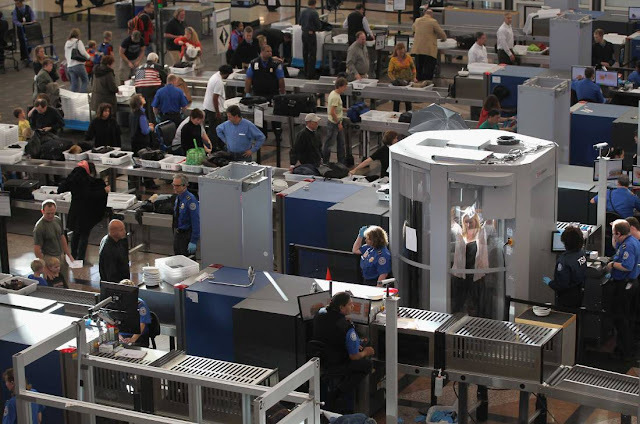 First, you'll be asked to step up to the full body scanner, do the whole "hands up" pose like everyone else, and you are scanned by the machine. Afterwards you are asked to step forward and place your feet apart on a mat. You will be given a pat down where a gloved female officer smooths down your hijab on your head and neck area, and legs if you are wearing a dress or skirt. Up to here, everything makes complete sense, and I'll agree that the head-to-neck pat down is necessary, because I want to feel safe at the airport, too. You'll be asked to wipe your palms over the whole length of your hijab and present your hands to them. They will have someone come and use a swab to wipe the palms of your hands, then they insert it into some machine to check for.. get this, traces of explosives! Yup, that's right! You'll be asked to wait there until they get an all-clear that you weren't wiping your hands on your hijab after playing with explosives, and then you can leave. It's humiliating because it's largely only women and men who cover their hair with hijabs or turbans who are singled out for this procedure, and the worst part is that the machine is not always accurate. One time I set the machine off because apparently traces of perfume on my hands can also come back as a positive! When that happens, you'll fight down your rapidly climbing panic while a serious-looking female officer takes you into a room and asks you to remove your hijab. 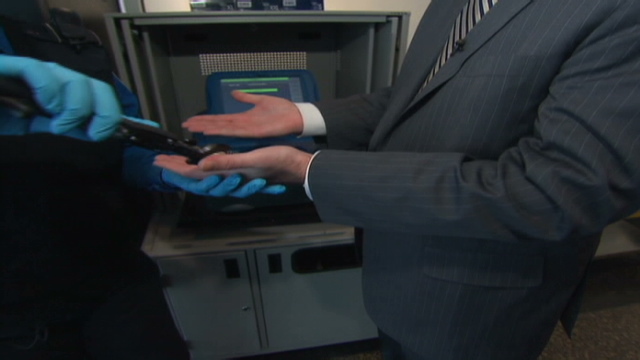 When they see you aren't hiding a bomb under there, they let you go and apologetically explain that sometimes the machine picks up elements of perfume and reads back as a false positive. After going through this process several times, I decided I had enough of feeling tense and harassed at the airport for no good reason, and looked into the Nexus Program & Global Entry Program. 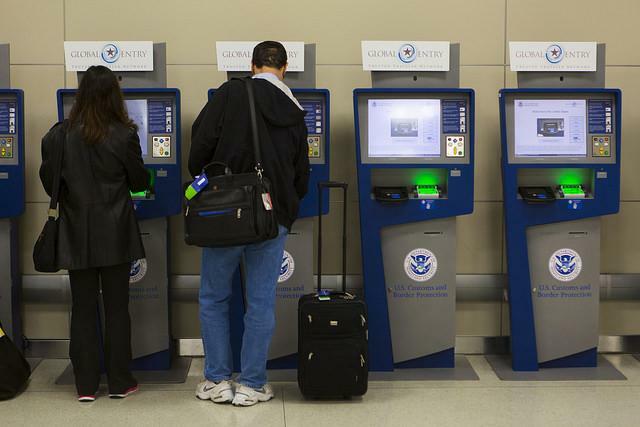 What is the Nexus & Global Entry Program? 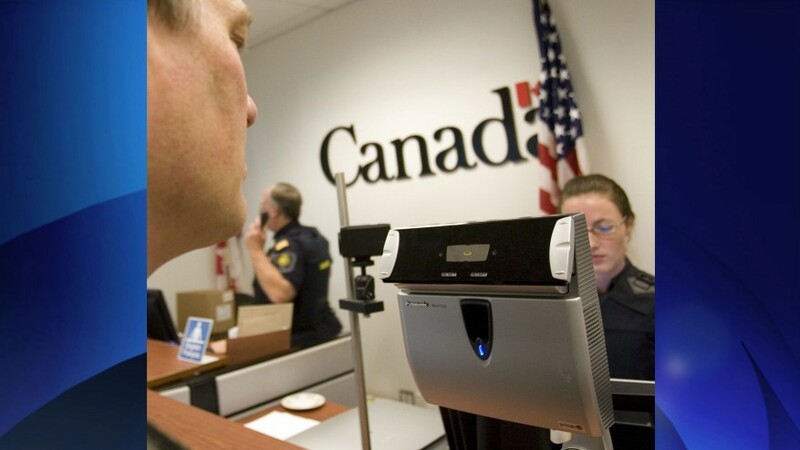 You will apply to the program online, pay a fee, and then when you are accepted into the program after an interview, you will receive a card that allows you (and only you) use to the expedited Nexus / Global Entry lanes at major airports and specific land border crossings between Canada and the United States. You will become a "Known Traveler" after being accepted into the program, and thus there will be no need to do any background checks or security screenings after having this card. You'll get through border crossings and airport security gates within minutes, and with little to no human interaction. There you will probably be lined up with Pilots and Flight Attendants, and the whole process felt so magical. It was the first time in my life where, after being in line with Flight Attendants in front of and behind me for a few minutes, two of them turned to me and just started a lively conversation. I felt like a boss. Afterwards you'll walk in to a completely empty and unmanned kiosk area where there are several kiosks waiting. You'll scan your passport, Nexus card, fingerprint and/or iris scan, and it'll print out your receipt and you'll head to the baggage screening area. There will be a dedicated lane for Nexus/Global Entry travelers, and you will only need to pass through a metal detector, not the full body scan. Unfortunately, they still had me swipe my hijab and swabbed my hands for the explosive trace detection, but it was over pretty fast. I was through to the flight gates in well under 10 minutes. How do I get a Nexus Card in Canada? 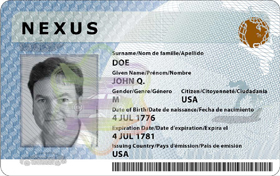 The first step before applying for the Nexus card is to think about whether you will be eligible. Firstly, only Canadian Citizens or Permanent Residents are eligible for this program. you fail to meet other requirements of NEXUS. Note: One of the other requirements is a question about whether you have done any drugs. You are a dual-citizen of the following countries: Libya, Yemen, Somalia, Sudan, Syria, Iran or Iraq. You have visited the above countries at any time on or after March 1, 2011. If nothing from the above applies to you, proceed to apply online. NOTE: You must enter all information about yourself completely accurately. If you enter anything incorrectly, you may be denied acceptance to the program, or you may be questioned about why you left such-and-such detail out at the interview. What information will you be asked about on the online application? After submitting, you pay the fee online, which is $50 USD. The next step is to wait for a notification that you received Conditional Acceptance. You will need to frequently log on and check your account for this notification. How long do I wait for Conditional Acceptance? It seems to depend on the time of the year that you apply. For Canadians, you may need to wait up to two or three months, depending on the volume of applications they are currently processing and the season. I submitted my application online in June 2016 and received my conditional acceptance in mid-August 2016, and that seems to be normal for the summer months. After receiving your Conditional Acceptance notification, you will be asked to book an appointment for your interview online, and will scroll through available dates until you find a day and time that suits you. 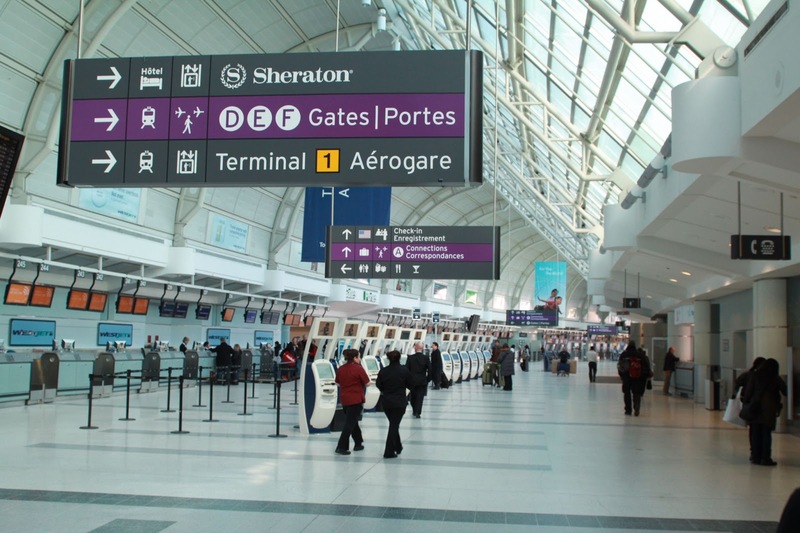 If you're from Toronto, the Nexus office is located near Pearson Airport. You will be asked to print out and bring your Conditional Acceptance letter, plus your official documents. The interview will be conducted by both a Canadian and an American police officer side-by-side at a desk. You'll arrive, sign in, and wait until you are called. At the interview you will answer various questions to ensure that the details you entered online are correct, and they will tell you after the interview if you were accepted or not. If you are granted conditional acceptance, there is no reason to believe that you will not be accepted. The interview is more of an orientation towards the program, and a procedure to record your photo, fingerprints, and iris scans. You can assume that when you are granted the conditional acceptance that you were successful, and the interview is just the final part of the process. At that time we had just returned from our epic round-the-world trip, and I had been to around 13 countries in the past 5 years. I took pains to memorize all of the countries and dates when I had traveled there, but they only asked me about two countries from my list: Turkey and Saudi Arabia. -What did you do in Turkey? -Where did you stay in Turkey? -When did you go to Turkey? and the same questions about Saudi Arabia, but when I explained that I had been there for a religious pilgrimage (hajj and umrah), they accepted that easily. They were much more tough on their questions about Turkey. Many years ago when I applied for my first passport, I mistakenly did not add my middle name to the application, and thus my passport only had my first name and last name. When I applied for Nexus, I realized that my middle name wasn't there on my passport, so I didn't add it to the application, thinking that my official documents and application details should be consistent. The Canadian officer questioned me at length about why I didn't add my middle name to the application without even looking at my birth certificate, but when I gave her my reasoning, she accepted it with a warning that I should never omit personal details. She added it to my file and my resulting Nexus card has my middle name on it. Afterwards, I decided to reissue my passport with my middle name correctly on there so that both will match. I was actually rather surprised that I was questioned much more harshly from the Canadian officer than the American one, and she (the Canadian officer) had a bit of a skeptical attitude and tone of voice whenever I answered her questions. It felt pretty intense. After these questions I was told that I was accepted into the program, and there were a few devices on their desk which recorded my fingerprints, a scan of both of my irises, and my photograph. They explained certain details about the Nexus program and gave me a few brochures with information. I was told that when you have the Nexus card, you and ONLY YOU may use the Nexus lanes at airports or land border crossings. If you attempt to use a Nexus lane at an airport and try to bring someone with you (even a child) who does not have a Nexus card, or if you are crossing on land using a Nexus crossing and there is anyone in the car that DOES NOT have the Nexus card, you will have your membership revoked and you will never be accepted into the program again. Which means that parents, you have to specifically apply for a Nexus card for each of your children, which may be done at the time of your application. If a family member doesn't have Nexus, then you have to use the normal lines. 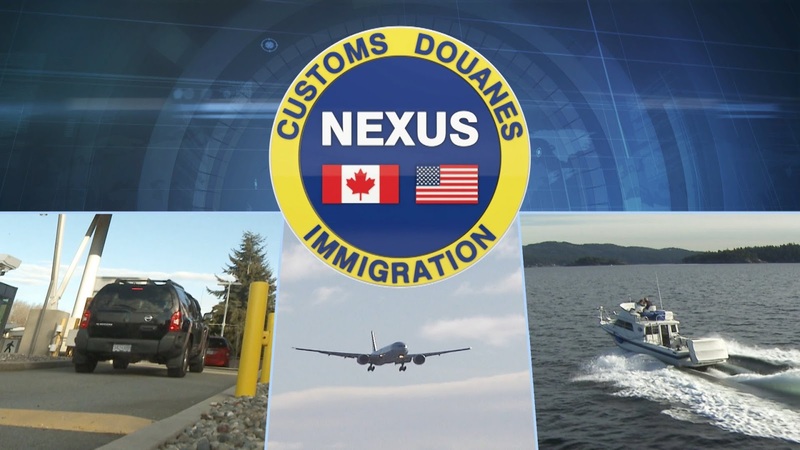 Other details was that if you renew your passport or change your place of employment, you have to drop in to the Nexus office and update these details in person. You will receive your Nexus card in the mail in about 10 business days, and it comes in this cool metal-lined pocket to protect it from RFID theft. After that, enter your Nexus ID number in the "Trusted Traveler" box whenever you book a flight, and bring it with you and show it to Flight Staff when you get your boarding passes. 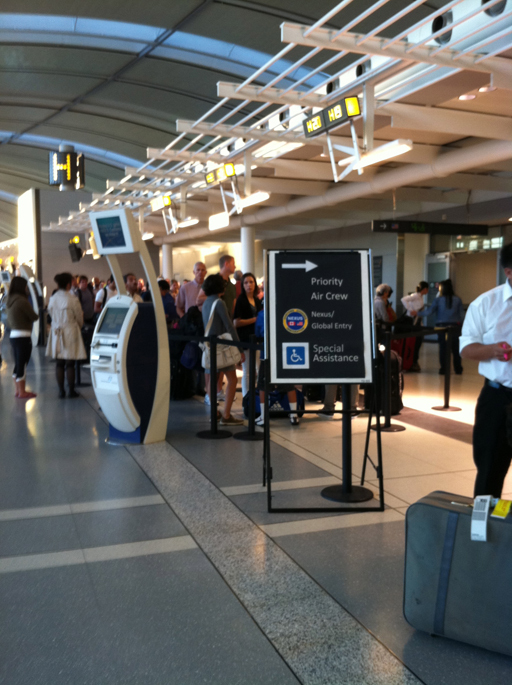 It will be printed on your boarding pass and you'll have a smooth entry to the expedited lanes. Afterwards, no more lines and no more airport harassment! Enjoy it! Ready to apply? 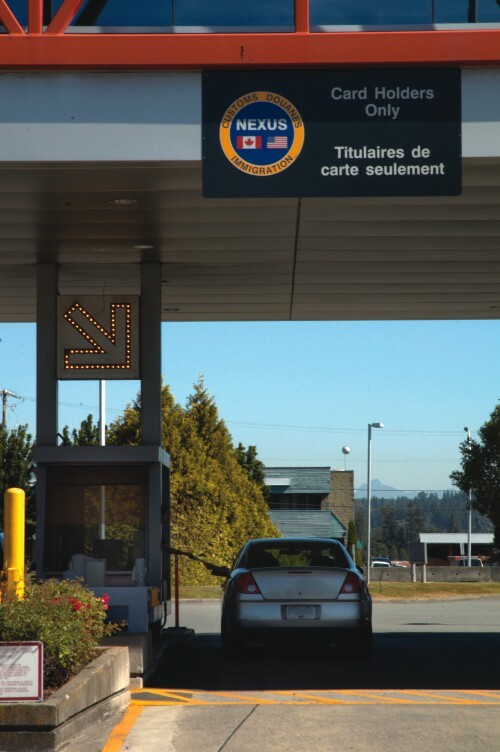 Start the online application process on the Canadian Services Border Agency website. Questions? We'd be happy to answer them! Ask them below or on Facebook.